Item033 - Boat at Clarenceville, Que. Item040 - House in Noyan, Que. Item042 - St. Thomas Church, Noyan, P.Q. Item 040 - House in Noyan, Que. Source of title proper: Title based on contents of postcard. 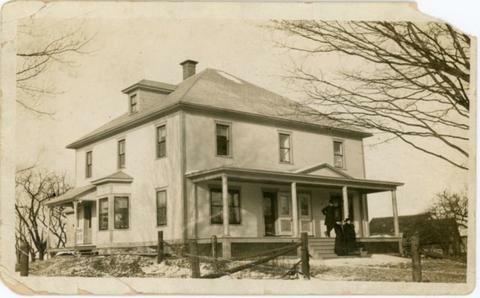 The item is a photograph postcard of unidentified house near Noyan from around the 1910s. Very good. Top right corner torn.